Extreme Bashing For A Cause! 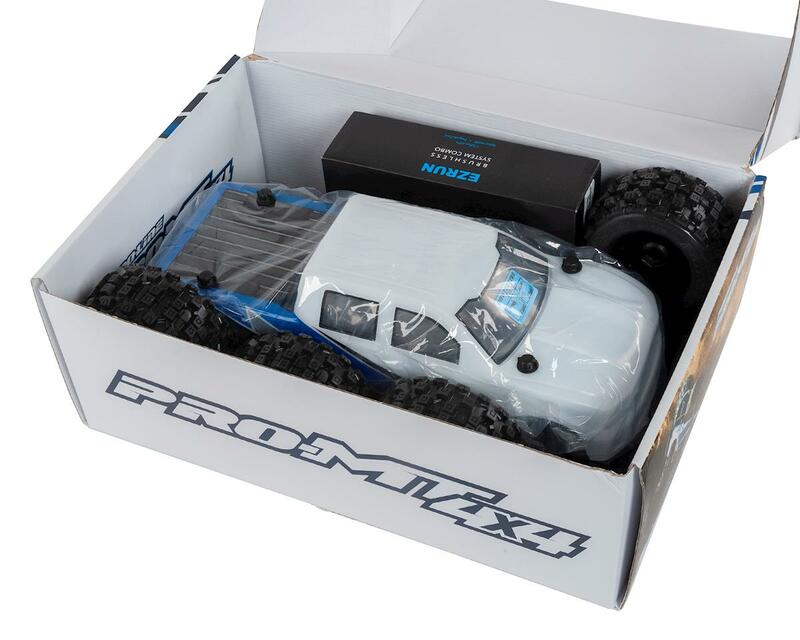 This Special Edition PRO-MT 4X4 not only comes pre-built, but features factory installed pro-spec electronics and a Special Edition pre-painted body. Just install your own receiver and go! 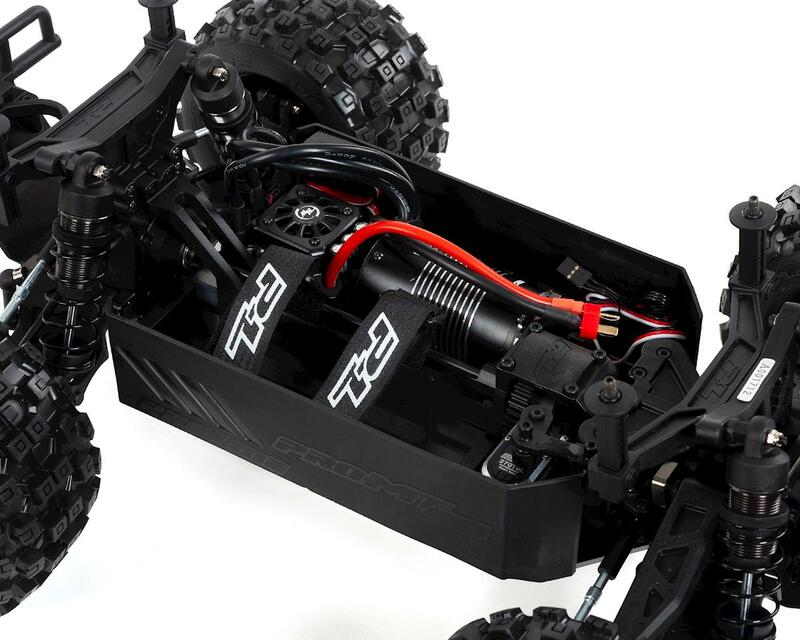 In collaboration with Hobbywing and ProTek R/C, Pro-Line Racing is proud to present this Almost Ready to Run (ARR) PRO-MT 4X4 Monster Truck, as part of a special fundraiser for the victims of the California Camp Fire. 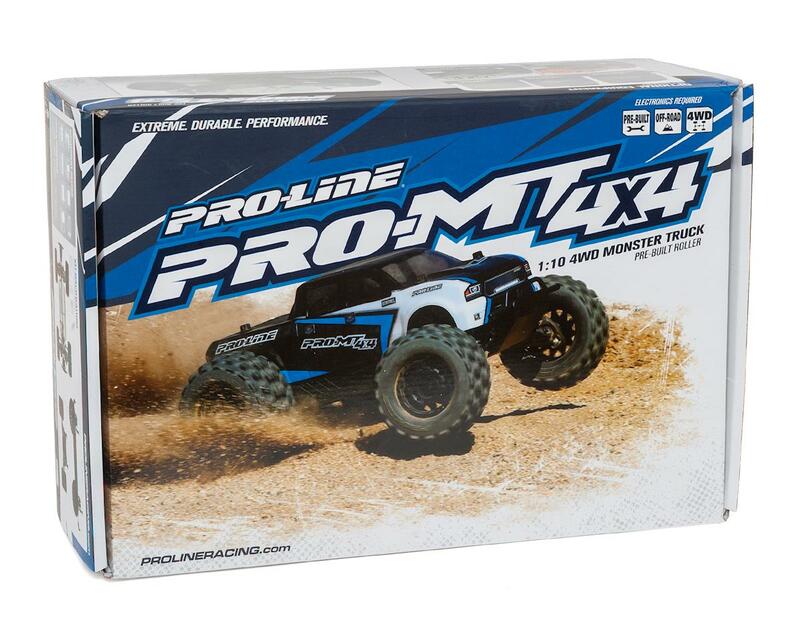 From this limited run, Pro-Line will donate $350 for every truck sold! Thank you Pro-Line Racing, Hobbywing and ProTek R/C. 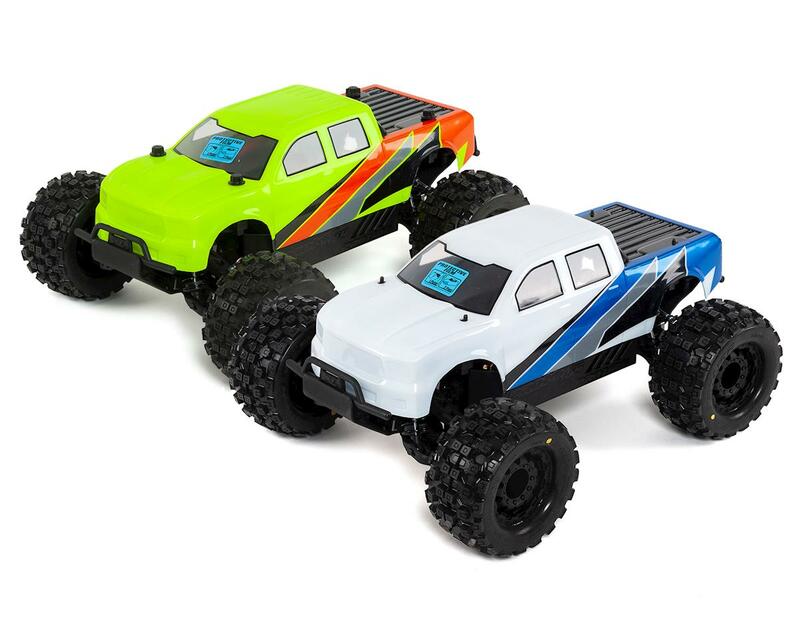 This truck is available in Blue/White and Orange/Yellow paint schemes (in very limited quantities!). Paint schemes are selected randomly, but if you would like to request a specific color, please contact our customer service department prior to placing your order and we will do our best to honor your request. 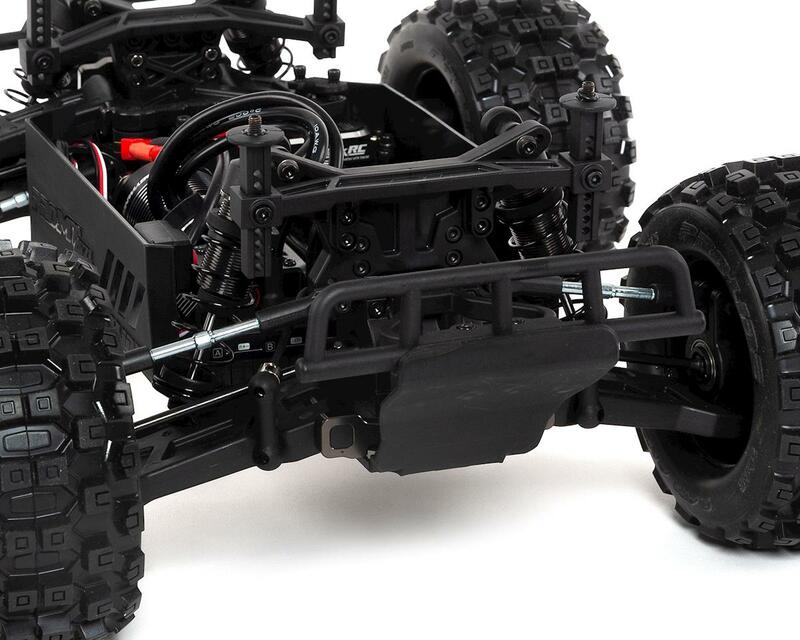 Pre-Built: The PRO-MT 4x4 comes as a Pre-Built Roller. 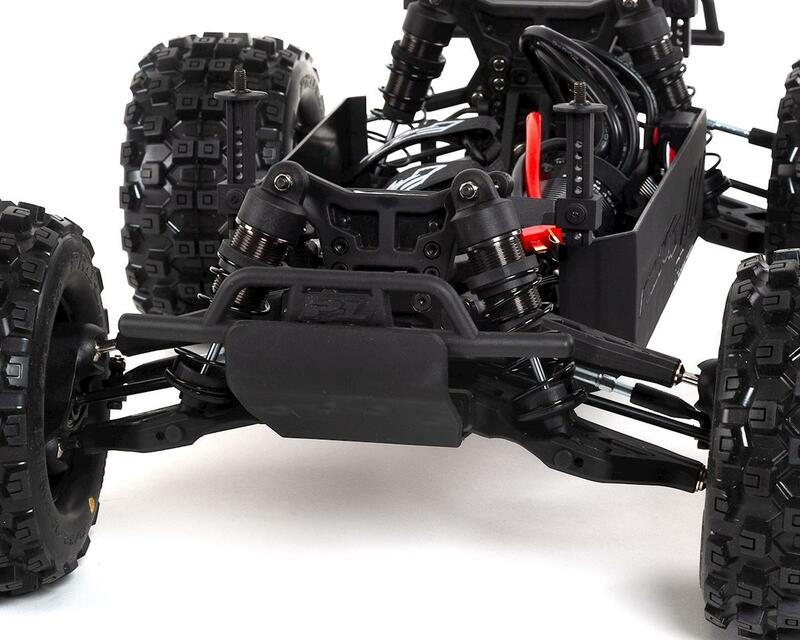 Just install your electronics, paint the body and go have fun! 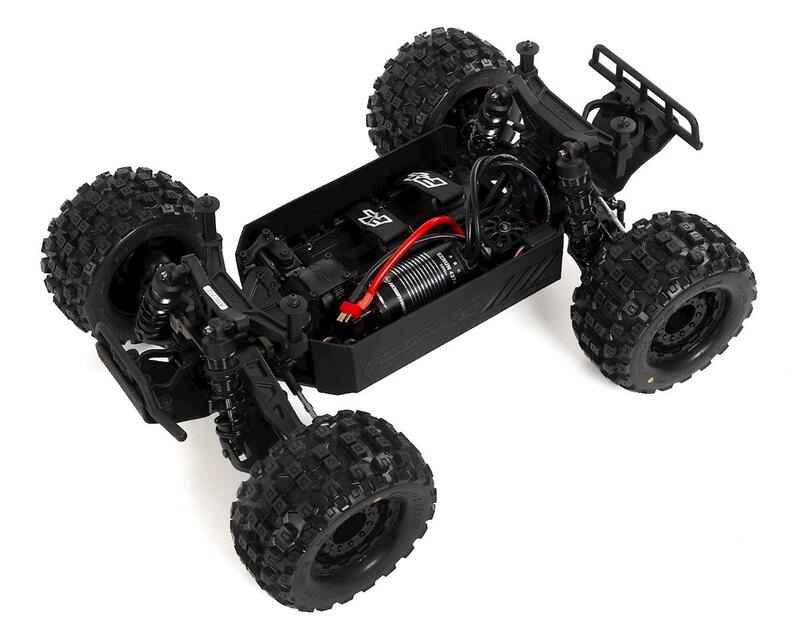 If you are looking to take the next step from a Ready-to-Run Truck and want true next-level Performance the PRO-MT 4x4 is the truck for you. Paint and tools are not included. NOTE: This package includes only one vehicle model; two models pictured for illustrative purposes only and is not included.